Are you seeing an error message that says "Oops. 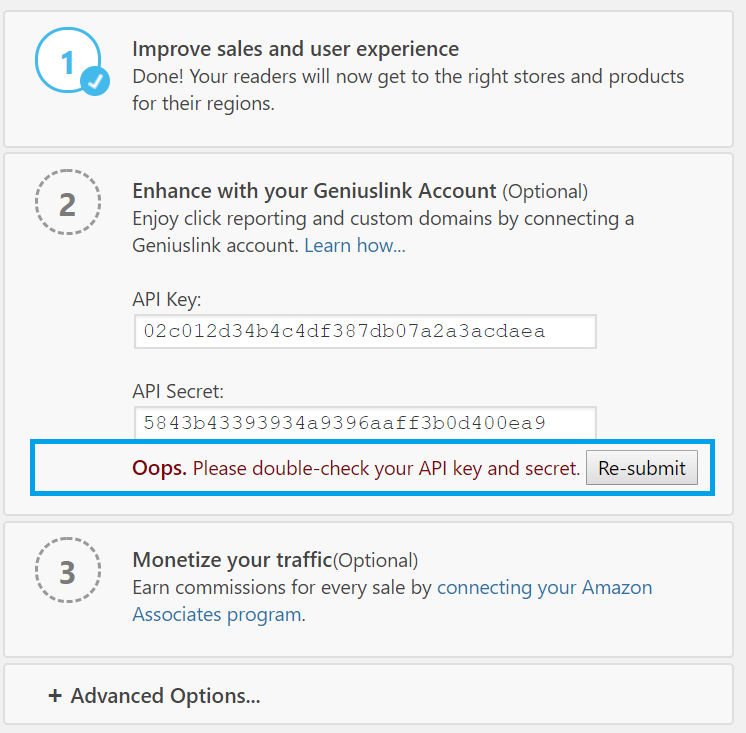 Please double-check your API key and secret" when you attempt to configure our WordPress Plugin? Assuming you've already double-checked the alphanumeric codes, this could be caused by an adBlocker or uBlock Origin extension being enabled. Please configure adBlocker or uBlock Origin to never run on your WordPress site (or our dashboard) and check to see if this resolves the issue. Still having problems? Feel free to reach out to us.